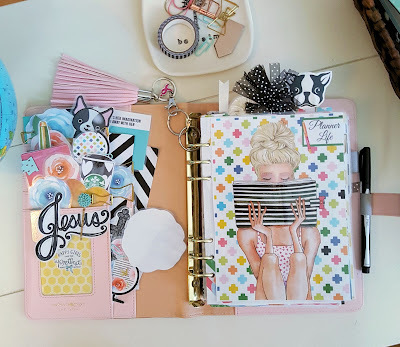 This Crazy Life...Michelle Underwood Designs: March Planner set up! I save by designing my own planner kits! 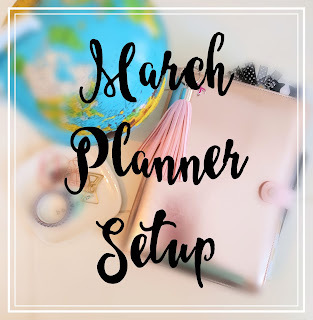 March Planner set up! 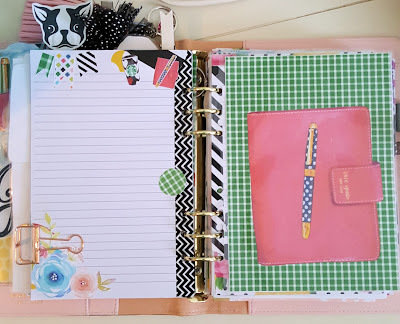 I save by designing my own planner kits! 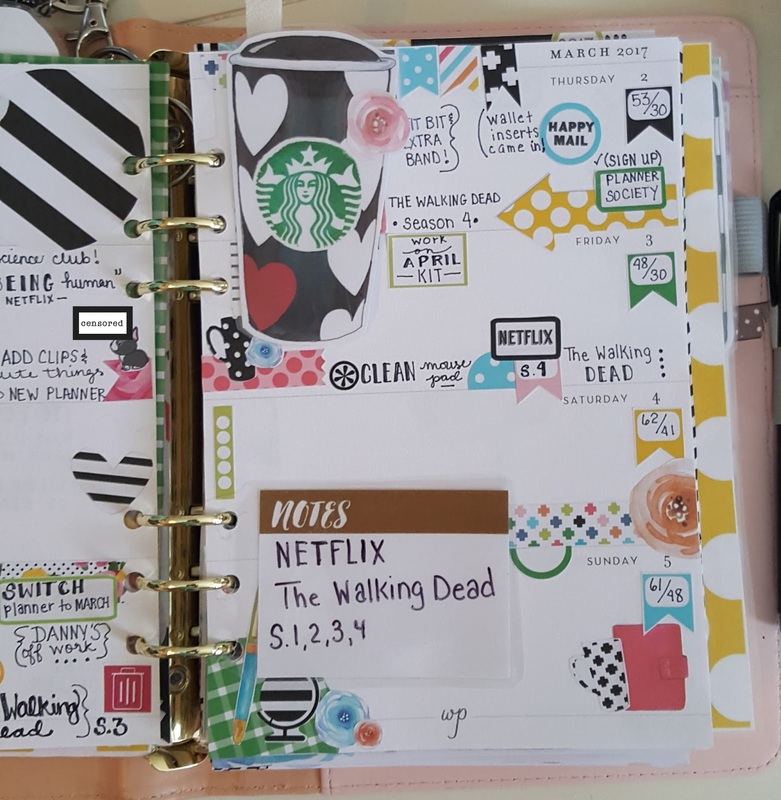 I am kinda new to the whole "decorate my planner" phenomenon. 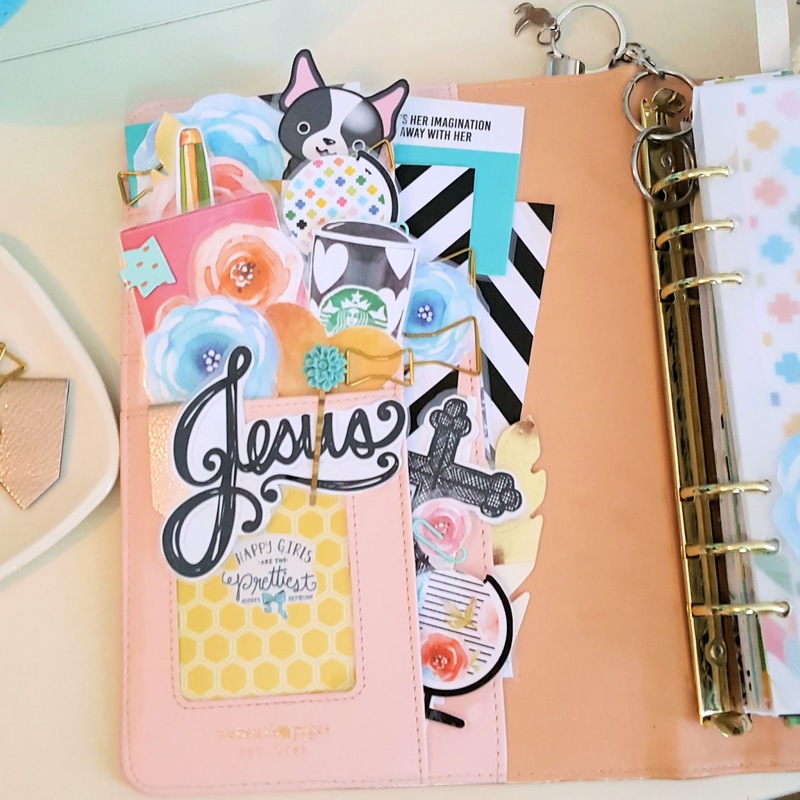 I have an A5 planner and a Personal planner that I use daily. 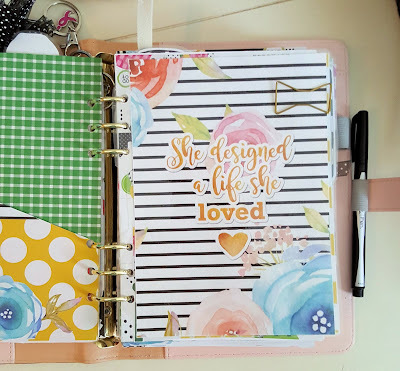 I like them to coordinate, so I use one kit for both planners. Here come the pictures! This is kind of a flip through. I will try and list all the details and products used. If I miss something or you have any questions, just comment and I will get back to you! 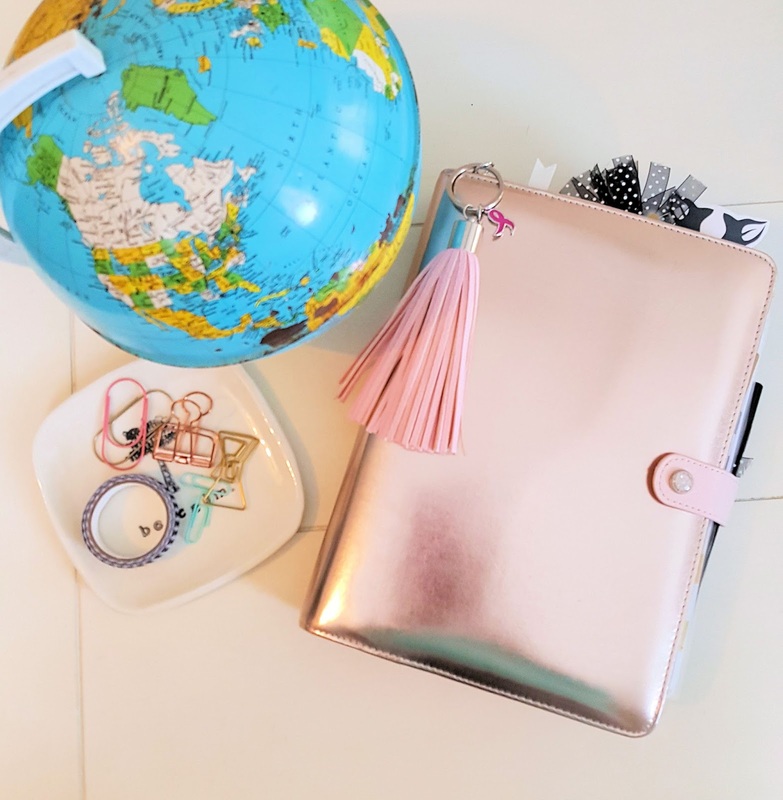 The tassel is a Breast cancer awareness key chain from Wal-mart. As you can see, I like to decorate the front pocket of my planner too! It's so much fun. I print out clip art and laminate it and stuff the pockets full. 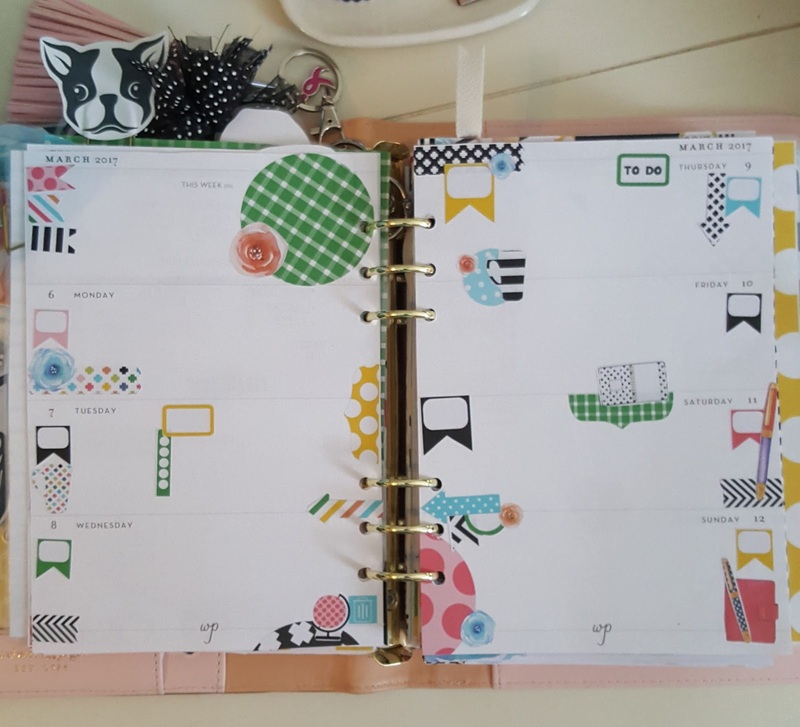 Since this planner stays home, I don't mind the clutter going on. I have a coupon code for PRINTABLE HENRY- Use MICHELLE10 to get 10% your purchase! 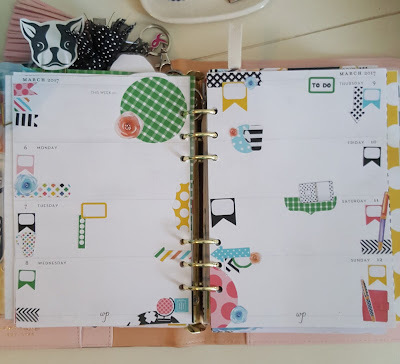 This is what I see when I first open my planner. It makes me happy!! 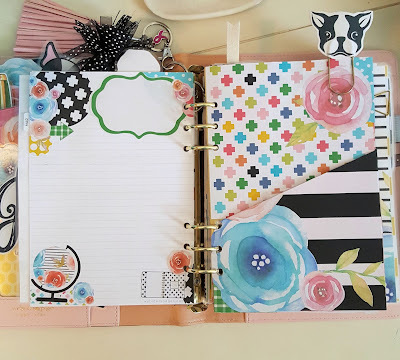 I am loving the Planner girl divider I made! 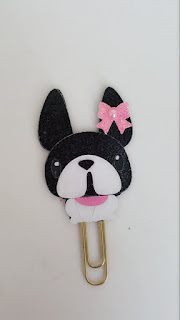 I always add Boston terriers to my planner kits because..... well, they are adorable! 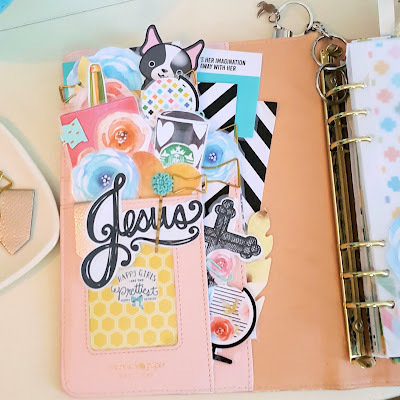 I use this planner for just about everything! 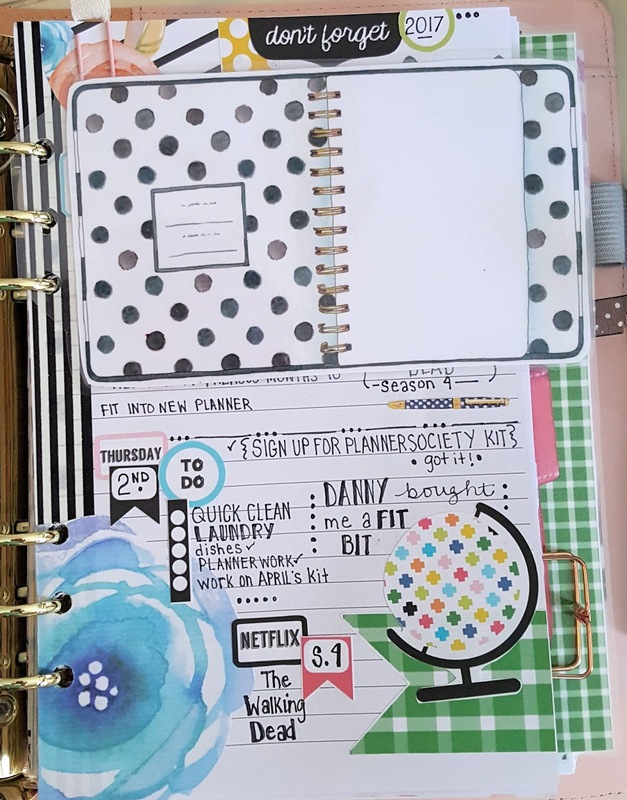 I use inserts for the Monthly and Weekly planning, but I use regular A5 paper for the Daily comings and goings that will just clutter up the monthly and weekly pages. Next comes the monthly view. 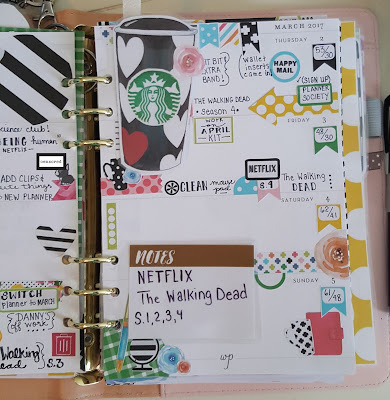 Not everyone sets up their planner the same way, but this works best for me! 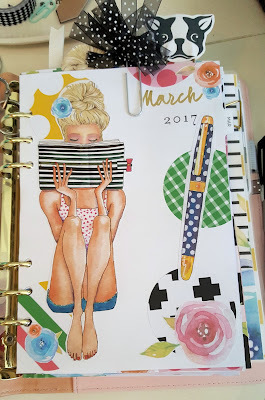 I had to use the planner girl again for the March monthly divider. She is just too fun! Check out that Kate Spade pen clipart. Isn't it adorable? I use sticky notes during the first part of the month to mark dates that aren't set in stone yet. Once I know what's happening, I will write it down. 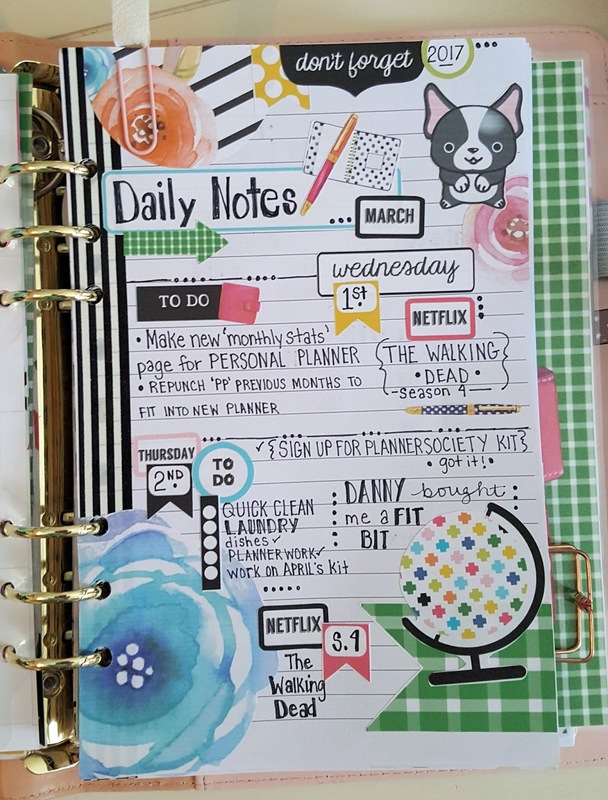 I just hate writing things in my planner and then crossing them out. I made the ribbon clip by watching a you tube tutorial. It did NOT turn out like it was supposed to, but I like it anyway, so I use it! Tell me this isn't the sweetest thing! If you go to her shop, check out her tassels!!!! THE TASSELS!!!! I am dying to get one of those too, but... ya know... trying to be frugal. Next up we have the back of the March month page that is pretty much blank. I like to use this to journal something, or write song lyrics. Something that I can look back on and smile. I hate wasted space. That folder was super easy to make. I had a target folder that I didn't like, so I printed some of my kit out on sticker paper and recovered that ugly folder! I am frugal, I like to use what I have! 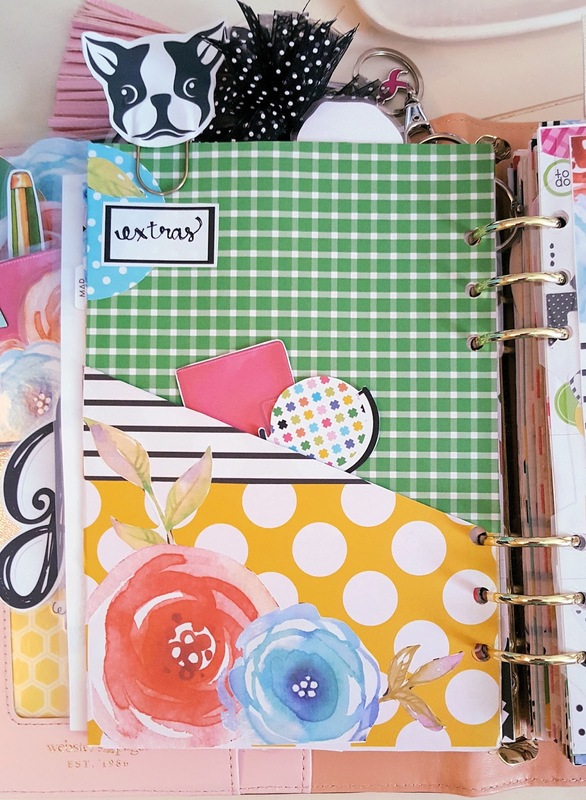 Love this divider! 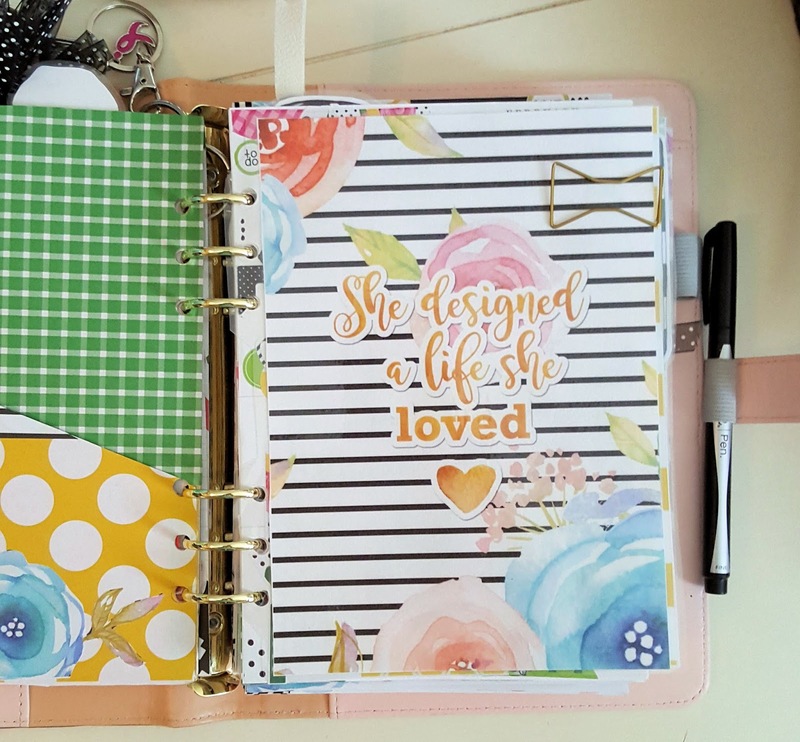 The clip art "She designed a life she loved" was in the Planner Girl kit from Printable Henry. Here's one that I started planning on. 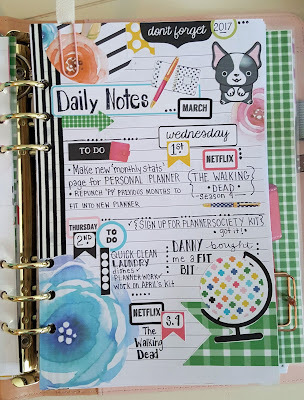 I like to keep track of the weather, "to do" list, "to buy" list, and just general things like what I am watching on Netflix or anything else that needs noting. 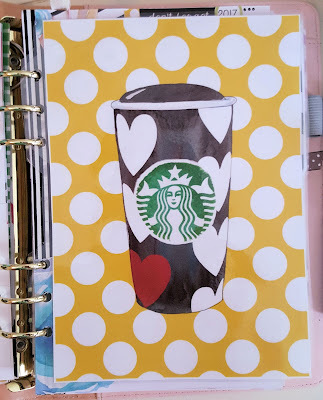 See the Starbucks cup I used as a page marker? I am loving it!!! 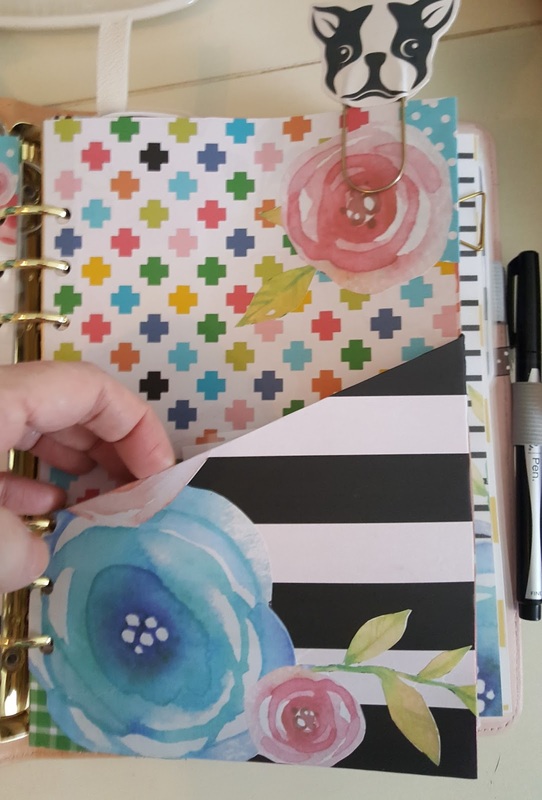 I also laminated some sticky notes that I place around my planner. You can write on it with a permanent sharpie ( I wrote something on there to show you... lol) and then you can wipe it off by writing over it with a dry erase pen, then erase it. Fun, isn't it! Again with the starbucks cup! I love this divider too! 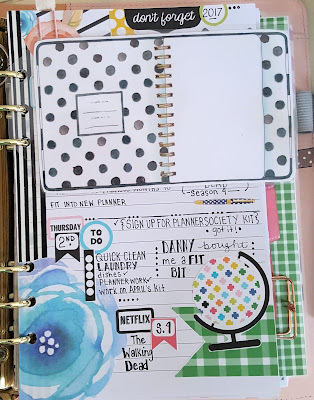 I used the notebook clip art to mark where I am in the daily pages. So stinking cute! I laminated it, so I can write on the blank space! This is the end of the Daily pages. 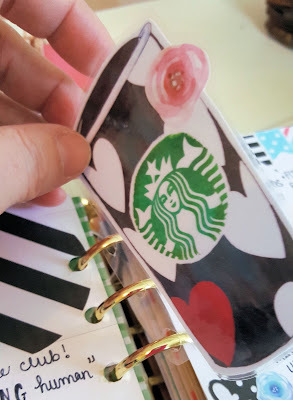 I used the Kate Spade planner and pen clip art for the divider here! 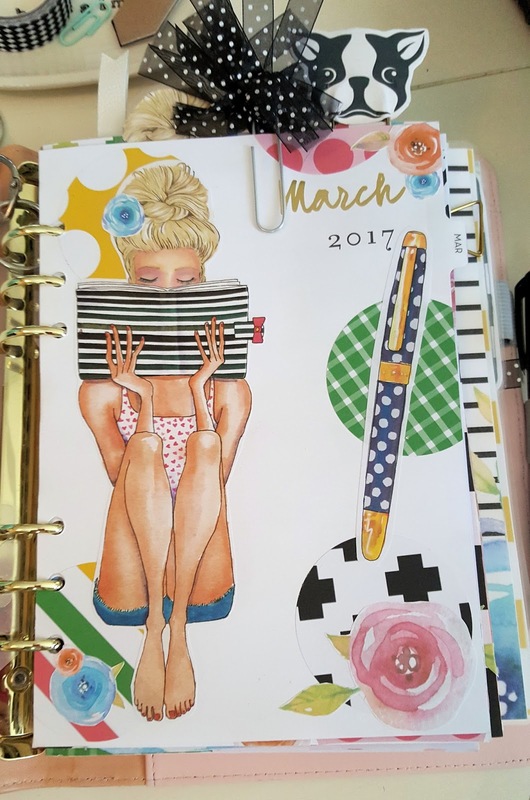 That's pretty much all for my March set up in my A5 planner. Here are some detailed pictures so that you can see how I laminated and then punched holes in the laminate so that I wouldn't ruin my pretty dividers or book marks... Once you put them in your planner you don't even notice all the laminate going on... it's clear and doesn't distract or cover up anything. 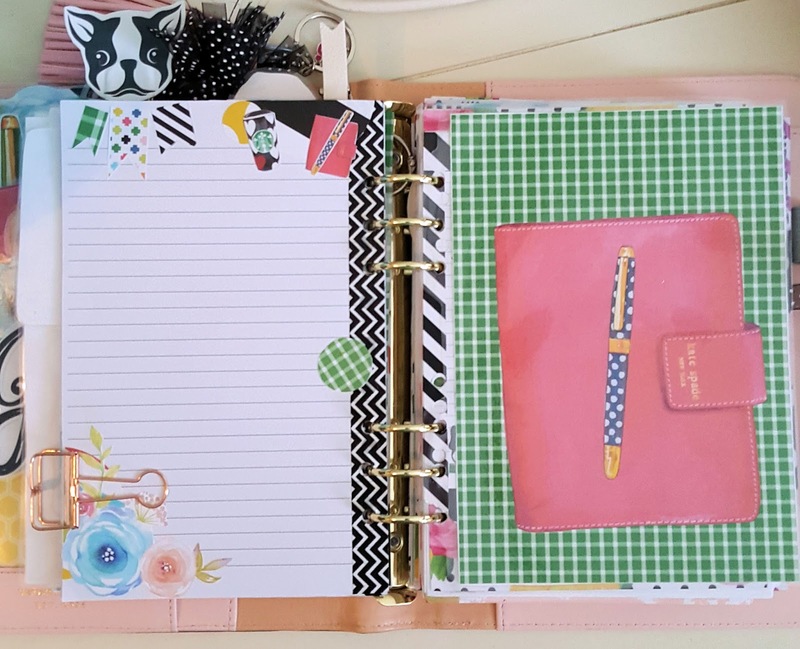 I will do a separate post for my personal planner. This one got way too long and picture heavy! Stay tuned for the Personal Planner flip through!! !